Becoming a homeowner may be a thrilling concept, but the realities of owning a house are not always sunshine and roses – jumping in with your eyes closed could land you in a potentially uncomfortable position. Thankfully, with a little preparation and honest self-assessment, you can avoid the common pitfalls, not only of the buying process, but of the house hunting process as well. This is according to Wayne Albutt, the Rawson Property Group’s regional sales manager for the Western Cape, who shares his step-by-step guide to ensure you enter the market with your best foot forward. Let’s face it, there aren’t many of us who can buy a house without some kind of financing, but securing finance can be almost impossible if you’re blacklisted, have a bad credit rating, or have no credit record at all. “There are a lot of South Africans who are completely unaware of the black marks on their credit record, and it can be a nasty surprise when you approach a bank or bond originator with an agreement of sale and discover that no-one is interested in giving you a loan. If there’s even a one-in-a-hundredth chance that your record isn’t spotless, do yourself a favour and check it before you set foot in your first show house. “That way, if anything is wrong, you can take the time to clear your name and rehabilitate your record before falling in love with that perfect house,” says Albutt. He says one of the easiest ways to check your credit record is to visit a bond originator that can take you through the whole process, as well as give you a good idea of the size of the home loan you might qualify for – a useful thing to have later on in the process. Albutt says once you’ve ascertained that financing is possible, it’s time to consider whether buying is a good lifestyle choice for you. “Owning property can be rewarding, but it’s a lot of responsibility, and it’s not the right thing for everyone at all stages of life,” he says. Albutt says renters are also protected by things like the CPA and the Rental Housing Act, and have minimal maintenance costs and responsibilities. However, what renters don’t have is the freedom to do whatever they want with their space, and the satisfaction of knowing that their monthly housing costs are contributing towards a valuable asset. “The biggest thing to remember is that buying a house is long-term commitment. If your property stops suiting your needs, you can’t just up and go – at least not without possibly taking a financial hit,” says Albutt. If you’re certain that buying will suit your lifestyle, you’ll need to consider whether it’s affordable in the long run, which means understanding the ongoing costs of owning a home. This includes home loan repayments, rates and taxes, and the inevitable maintenance that will need to be done, as well as the cost of turning someone else’s house into your home. Albutt says bond repayment calculators are widely available online, but a bond originator is the best bet for finding out what size mortgage you’d actually qualify for. “Don’t rely on that old rule of thumb that you’ll qualify for bond repayments up to a third of your income. Everything depends on your monthly net surplus,” he says. As for maintenance costs, Albutt says you should set aside a minimum of 1% of the value of your home per year – that’s R10 000 a year on a R1 million home – to increase or maintain the value of your asset. An average of as much as 3% to 5% annually may even be required. Being able to handle the costs of ownership is one thing – the costs of buying are another. “The upfront costs of buying a property generally have to be paid out of pocket – you can’t just add them to your home loan,” says Albutt. On a R1 million house with a R900 000 home loan, transfer costs, including transfer duty, Deeds Office fees, attorney’s fees and incidentals, currently total over R26 000. Add to that home loan costs of nearly R22 000, and a 10% deposit, and you’ll need at least R150 000 cash on hand to make the purchase happen. Albutt says for a R2 million house, those numbers more than double. The easiest way to budget for these costs is to use an online transfer cost calculator. This will be fairly accurate, but not a guaranteed figure. Albutt says if you’ve successfully made it through steps 1 to 4, chances are, buying a house is a good decision for you. Now, you get to move on to the fun stuff: drawing up a wish list of what you want in a home. However, be careful how you do this – most buyers get it wrong. Albutt says a good real estate agent will be able to interpret these elements in order to show you homes that will not just accommodate you, but support and enhance your lifestyle and that of your loved ones. 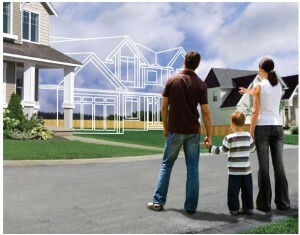 “Don’t forget to consider the needs and preferences of everyone that will be sharing your home. It’s important that you get to know your partner’s tastes and requirements, and find a compromise that works for you both,” he says. While aspirations are important, Albutt warns against being tempted to go over budget in order to get into your first-choice suburb. “It’s better to compromise on area than to overextend yourself financially, but it’s up to you whether you’d prefer the best house in a lesser suburb or the worst house in a better suburb,” he says. Having chosen your ideal suburb or suburbs, it’s time to get in touch with a few real estate agents who are active in that area. Albutt says choose one primary agent, and another two secondary agents to encourage healthy competition and a motivated search. However, don’t just sit back and expect your chosen agents to come to you. Be proactive when it comes to getting updates, as South African agents are more used to serving sellers than buyers, and might need a friendly nudge every now and then to prioritise your search, he says. Albutt says by following these seven steps, you should be well on your way to finding a property that will make you happy, but if you’re still in doubt, take some time to sit down with an experienced real estate agent and run through any concerns you may have. He says as for the next step: don’t look for a house, look for a home.